Dominating the division in Southern California and a tough-as-nails defeat against the older Stopchargingmaria in the Breeders’ Cup was enough for Hronis Racing’s Stellar Wind to be named the Eclipse Award-winning 3-year-old filly of 2015. The daughter of Curlin earned the title over I’m a Chatterbox and Longines Breeders’ Cup Turf (gr. IT) winner Found. Virginia-bred Stellar Wind is up for an Eclipse Award tonite (Saturday Jan. 16) and you can view the ceremonies live via video streaming at www.xpressbet.com starting at 6:30 PM. 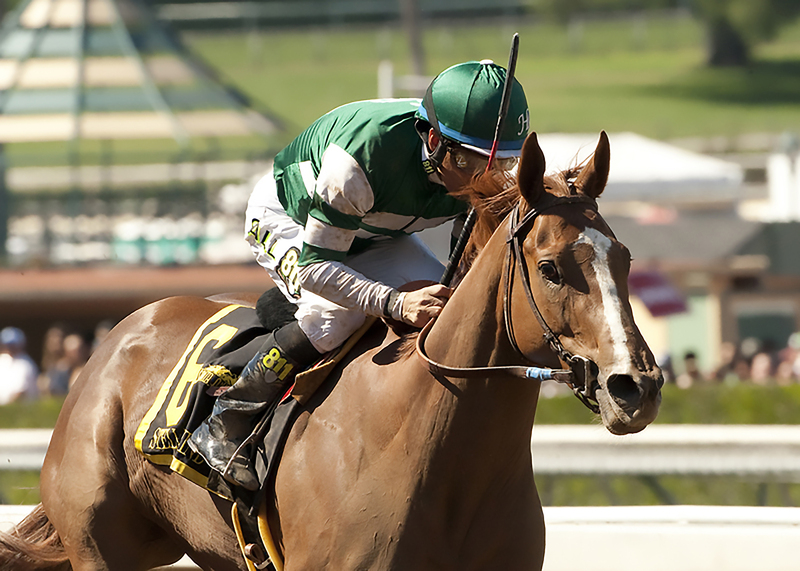 Hronis Racing’s Stellar Wind and jockey Victor Espinoza win the Grade I $400,000 Santa Anita Oaks Saturday, April 4, 2015 at Santa Anita Park, Arcadia, CA. Our thoughts and prayers go out to the family of former VTA member Hugh Motley. Motley a highly-regarded horseman from Keswick, Va., who started his own bloodstock agency and sold Thoroughbreds at many of America’s top sales, died in Wellington, Fla., on Jan. 9 of complications from pneumonia. He was 60. Congratulations to Virginia-bred Stellar Wind, who was named one of three Eclipse Award finalists in the 3 Year Old Filly division along with Found and I’m A Chatterbox!